Understandably the sign companies are real busy right now. Something about a big election. On came through on a fast small order though. 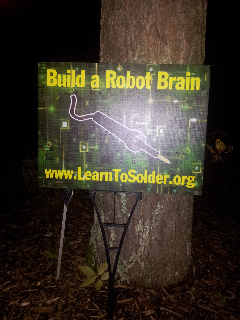 Look for this sign and join us at Atlanta Mini Maker Faire this weekend!